Indiana University South Bend considers residential living a valuable part of the educational process in which students participate when they agree to live in the residence halls. Resident Assistants (RAs) help students develop responsible, concerned approaches to group living by supporting their efforts to understand themselves and others. RAs also work with residents to create an environment conducive to living and learning. The RA, therefore, is an educator who plans and promotes programs based in the needs and interests of the students living in his/her area. Each RA is expected to plan a number of programming events that meet the social, cultural and educational needs of residents. Other duties and responsibilities may be included throughout the course of the year as designated by Residence Coordinator (RC), Assistant/Director of Housing and Student Life. RAs must be full-time, returning students in good academic standing with the University who possess strong interpersonal skills, administrative abilities, organizational skills, and a high level of maturity. Completion of a minimum of 30 credit hours by time of employment. Be in good judicial standing with Indiana University South Bend. Maintain a minimum of 2.5 cumulative GPA the semester before hired, leading to employment and each semester during the term of employment. Each semester of employment as a Resident Assistant, applicant must achieve a minimum of 2.5 GPA to maintain their position. Resident Assistants must maintain full time student status (12 undergraduate hours or 8 graduate hours) during the fall and spring semesters. RAs must not take more than 15 undergraduate hours or 9 graduate hours without written approval from the Director of Housing and Student Life. 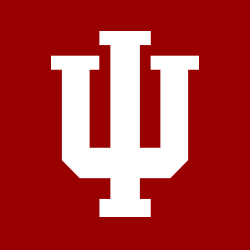 Adhere to and enforce Indiana University South Bend policies and procedures as outlined in The Indiana University Code of Student Rights, Responsibilities and Conduct, Housing and Student Life Policies and Procedures, and the RA Staff Manual. Attend the mandatory fall training program, which begins approximately two-three weeks prior to the first day of classes. Attend in-service training sessions throughout the academic year. Attend weekly staff meetings conducted by the Residence Coordinator (RC). Attend additional meetings as determined by the RC or other members of the Housing and Student Life management team. Attend the mandatory winter training program, which begins several days prior to the opening of the residence halls in January. Assist with staff selection in January and February as needed by the Residence Coordinator. Organize and implement house/building/community programs and activities for housing residents, and submit written planning and evaluation reports to RC. Assist the RC in recruiting volunteers for Residence Hall Association (RHA) and National Residence Hall Honorary (NRHH), and promote, attend, and actively participate in meetings and activities. Support the efforts of the Residence Hall Association (RHA) and National Residence Hall Honorary (NRHH) by regularly attending meetings and programs throughout the academic year. Organize and facilitate all building/house/community meetings. Assist in the implementation of any specialty programming in individual areas such as the First Year Experience Program, Honors/Themed/Living Learning Community Housing, potential 21+ Housing, etc. Organize and implement community programs designed to involve and include all students living in River Crossing Student Housing community. Assist all students in the transition and orientation to college and residential living. Take initiative in becoming acquainted with residents in your building/house and housing community. Be available to residents by being present, visible, and accessible in the building and housing community. Work with other Student Life Offices, Indiana University South Bend administrative offices and faculty to provide academic and emotional support for resident students. Confront inappropriate behavior and document as needed. Assist with conducting life safety and security procedures such as fire drills, reporting trespassers, and enforcing all other Indiana University South Bend and Housing and Student Life policies and procedures. Serve as a knowledgeable resource and referral agent for all residents. Maintain residence in a pre-assigned room from the first day of training. Each RA must remain in the residence hall until all closing responsibilities are completed and they are dismissed by the Residence Coordinator. Assist in building/house openings, closings, and resident check-in/outs throughout the semester/academic year. Assist with the administrative responsibilities as assigned by your supervisor including, but not limited to, weekly reports, occupancy verification lists, management of key distribution and collection, etc. Disseminate information to resident students and to the administration on behalf of the resident student population, assist in the evaluation of student problems and achievement, and participate in regular meetings with Indiana University South Bend officials regarding residential issues. Participated in a rotating on-call duty system in the following manner: Remain in one's residential area, be available and viable in the housing complex area, assume responsibility for rounds, and secure the buildings/houses and community building, and respond to emergencies. This includes additional duty responsibilities during specific periods including but not limited to professional athletic events, Halloween, inclement weather, etc. Notify your supervisor in advance (in writing) when you wish to leave for the evening/weekend. Set reasonable limits on participation in extracurricular activities and additional employment. Additional employment is permitted only with your supervisor's consent. Participate in the evaluation and feedback process as conducted by your RC or designee. Participate in the resident assistant selection process. Conduct weekly inspections of the residential facility and document any maintenance problems, damages, and vandalism. Assist with working the community building front desk at the beginning of each semester until a complete desk staff can be hired, and throughout the semester. RA will participate in a desk shift at the beginning of each duty shift. Maintain a phone and appropriate voicemail at your designated room extension. Hold no jobs outside of the RA position unless advance permission is received from your direct supervisor/designee at the beginning of each semester. RAs are typically not allowed to work more than 10 hours a week outside of the RA position without written permission from their supervisor/designee. Hold no other significant leadership positions on campus without advance permission of your direct supervisor, the director, or the assistant director of residence life and housing. Due to time constraints and the potential for a conflict of interest, students who are hired as a resident assistant must obtain written approval from the Director of Housing and Student Life before taking on the position(s) (executive or otherwise) within Student Government Association (SGA), Residence Hall Association (RHA), and/or National Residence Hall Honorary (NRHH). Enrolled in twelve (12) undergraduate credit hours or nine (9) graduate hours during each semester. Maintain a 2.5 cumulative grade point average. Each RA will be evaluated at the end of both the fall and spring terms. Individual meetings will be scheduled to discuss performance, strengths and areas for improvement. Attendance at staff meetings, training and in-services will be included in the RA evaluation process. RA positions are offered on an annual basis; however, an unsatisfactory evaluation may result in a dismissal. The remuneration for each RA will be a single room in a two bedroom apartment (bedroom with the en-suite bathroom) and bi-weekly stipend. Resident assistants who accept the position understand that a single room in a two bedroom apartment is considered part of an RA’s remuneration. RAs will be asked to sign and comply with the policies and procedures outlined in the Housing and Student Life Application and Contract and Resident Assistant Employment Agreement. If an RA leaves the position mid-year, and spaces are available on campus, Housing and Student Life will make every effort to find appropriate, on-campus housing for that individual. If no appropriate spaces are available, the RA may need to find other housing arrangements. Housing and Student Life prefers not house an RA in their former area of responsibility (building/house), and prefers to move the RA to a different residence building/house. If the RA would like to be released from the Housing and Student Life application and contract, s/he may be allowed to move off-campus.